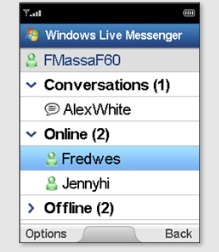 The Facebook IM chat client for Windows Mobile phones has recently been updated to version 2.1. 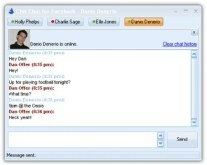 With this application, you can access Facebook from your handheld and instant message with your online Facebook friends. Facebook IM also lets you upload photos and videos directly from your device to Facebook as well as update your status. And the app alerts you when you have new chat message notifications, new inbox messages, and more. Since it’s integrated with the mobile website for Facebook at m.facebook.com, you can easily follow up on the notifications you receive by browsing to the mobile site. 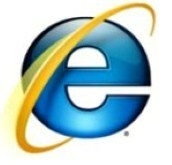 The application is touch-friendly and requires .NET CF 3.5 to run. 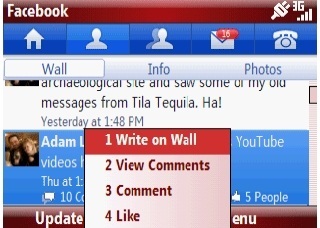 Facebook IM is available now on the XDA-Developers forum – you can download it from here. The screenshot seems to contain profanity.